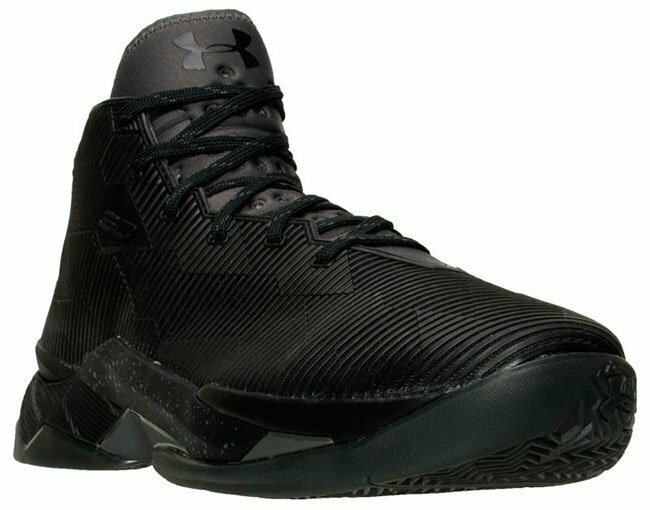 More Under Armour Curry 2.5 releases are now landing at retailers. 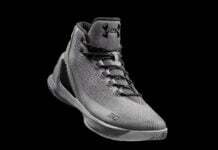 While we do have at least one more pair of the Curry 2s available, we can expect the 2.5 to finish things out until the next launch, the Curry 3. 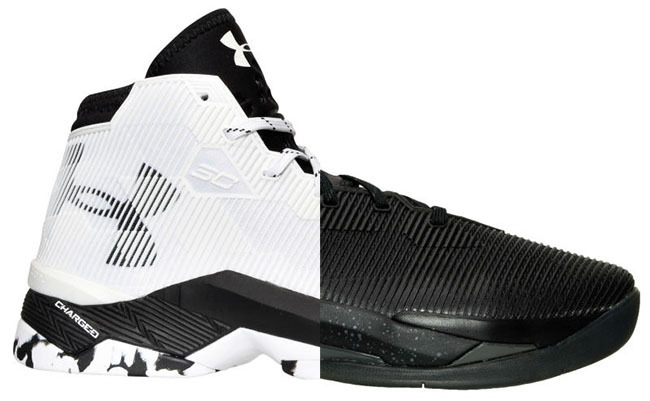 Shown are two new pairs of the Curry 2.5 known as ‘Triple Black’ and ‘White Black’. 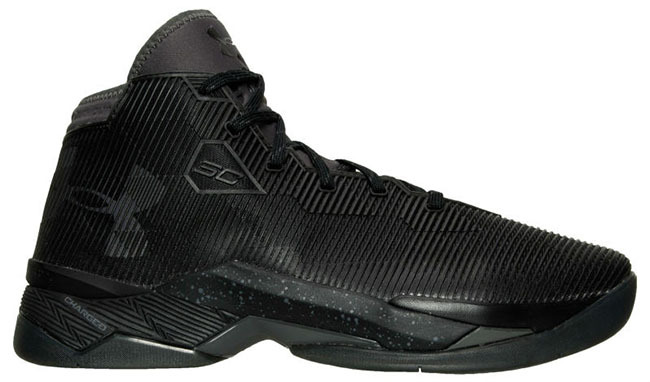 The Triple Black edition features all Black while speckled detailing lands on the midsole. 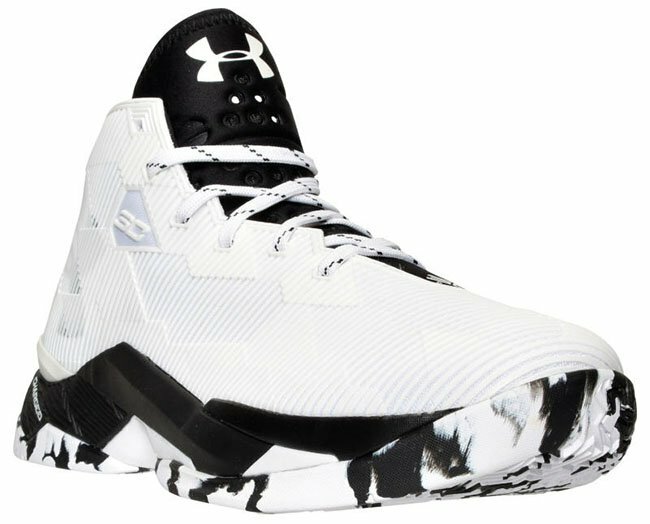 The other pair uses White on the uppers, Black on the midsole and a mixture of both colors forming camouflage on the outsole. 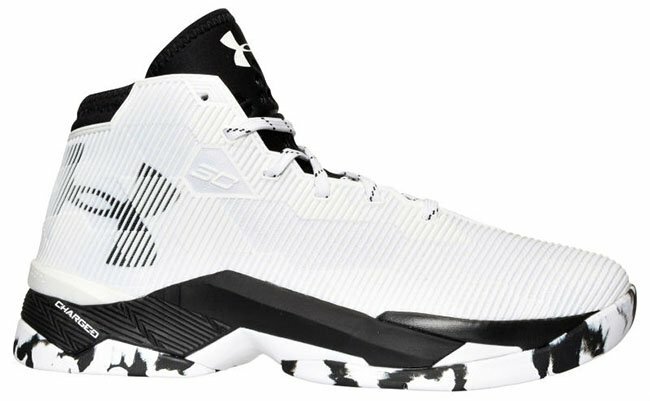 Both the ‘Triple Black and ‘White Black’ Under Armour Curry 2.5 are now arriving at UA retailers. 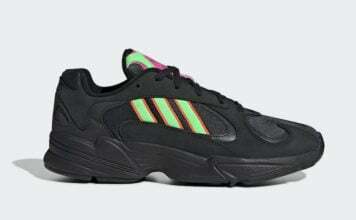 For those that are interested in purchase one of the two, or both, they are available now at FinishLine.com. 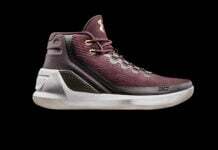 Retail price is set at $135 each. 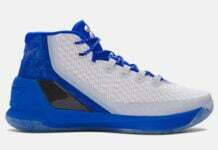 Scroll below to check out more photos of each and let us know what you think of the duo.